Learn about how an atheist English professor became a Christian apologist. Get a sneak peek at a new book about miracles, coming out tomorrow. And find out why Ken Ham, the Answers in Genesis leader, wrote a blog post about me. 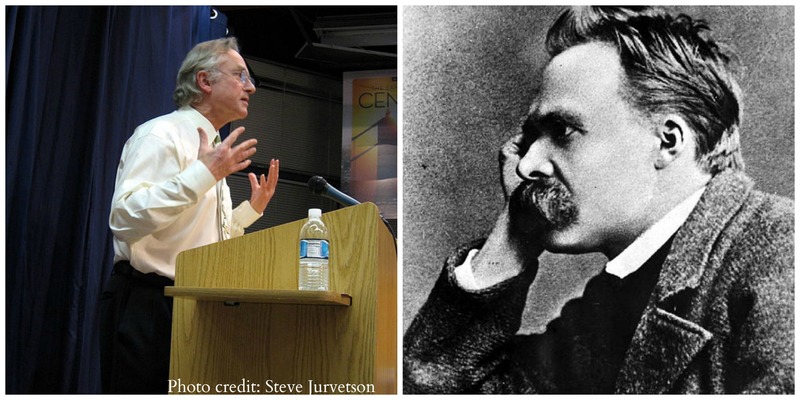 Richard Dawkins and Friedrich Nietzsche, engaging in a staring contest. This week’s buzz features the difference between Dawkins and Nietzsche, the best movie trailer you’ve ever seen for an academic paper, and Kevin Sorbo—of Hercules and God’s Not Dead fame—saying controversial things about atheists. Does Ken Ham think aliens are going to hell? What does this mean for Worf and Marvin the Martian?